TWO BRITISH WOMEN who went missing after a late-night swim in Spain have been found dead. 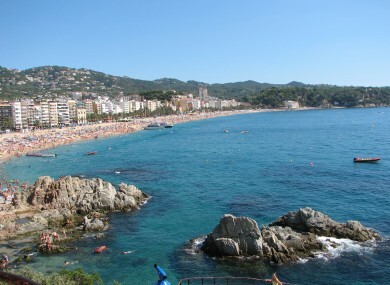 Sky News reports that Spain’s Civil Protection Service said a search helicopter located the women off the coast of the Costa Brava, at the Lloret de Mar resort, 47 miles (75km) northeast of Barcelona. The pair, aged 33 and 36, were with three other women on the beach. They were reported missing at around 4am after failing to return from the sea. Their bodies were found at around noon today. A British Foreign Office spokesperson told Sky they are offering consular assistance. Email “British women found dead after going for late-night swim in Spain”. Feedback on “British women found dead after going for late-night swim in Spain”.